I have never really been the Air Jordan type. I used to dig some of the shoes but not enough to purchase them. However, these last two pair of retro Jordan's have touched my fashion heart. 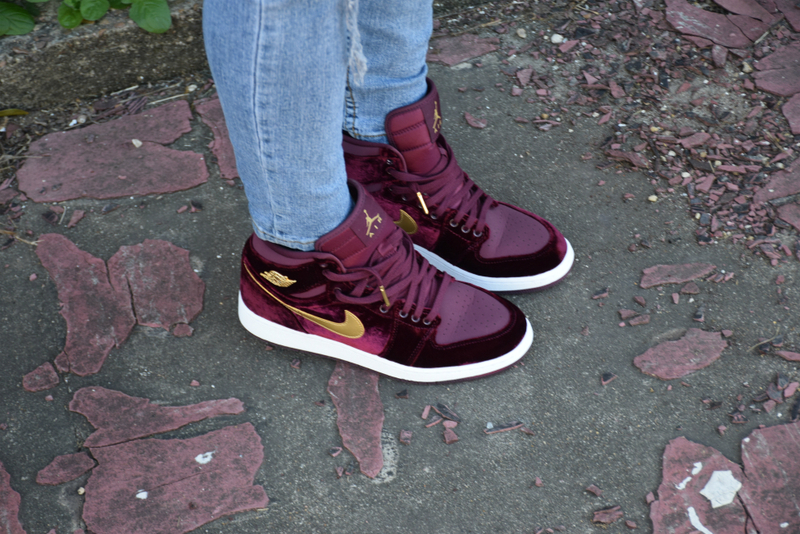 How dare the Jordan franchise come out with some velvet sneaks???? These are by far the baddest Jordan's I've seen! Check them out below. Since the Jordan's were so funky, I wanted to keep that groove going so I paired them with my Bill Cosby inspired sweater I received from Shop Vintage Bowtique (Instagram), my DIY (do it yourself) chain jeans, my Cuban Link Choker from Intuition, and my vintage Fendi bag I got from Bells Boutique (Instagram). These Jordan's definitely add to my "around the way girl" persona. I will be keeping these babies in rotation weekly.